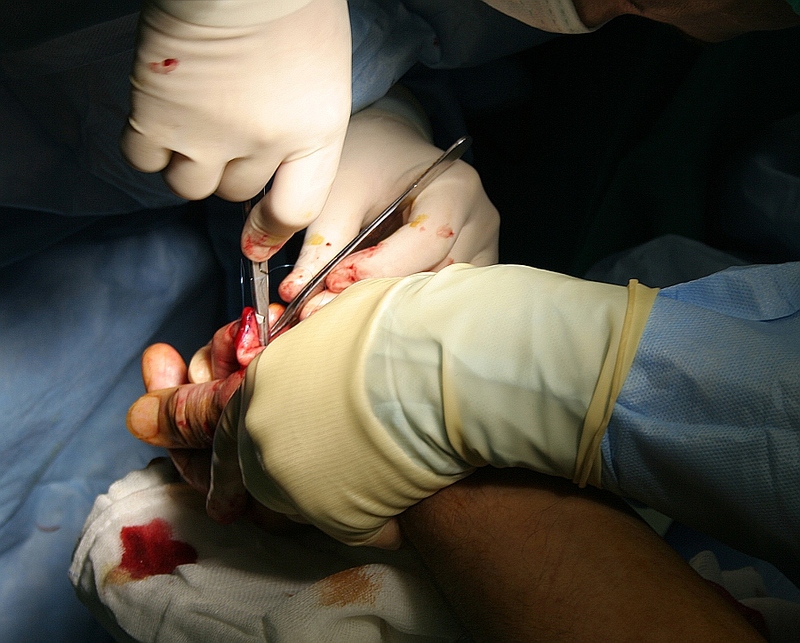 I mentioned before that I was going to have an operation on my hand to reconstruct the middle finger of my left hand. Well a couple of weeks ago my friend Paul took me to Antalya for the first operation because I didn’t expect to be able to drive after it. The morning was freezing and so was the operating theatre, I had to wear one of those gowns that does up with poppers at the back which takes away the last shred of dignity you thought you had. 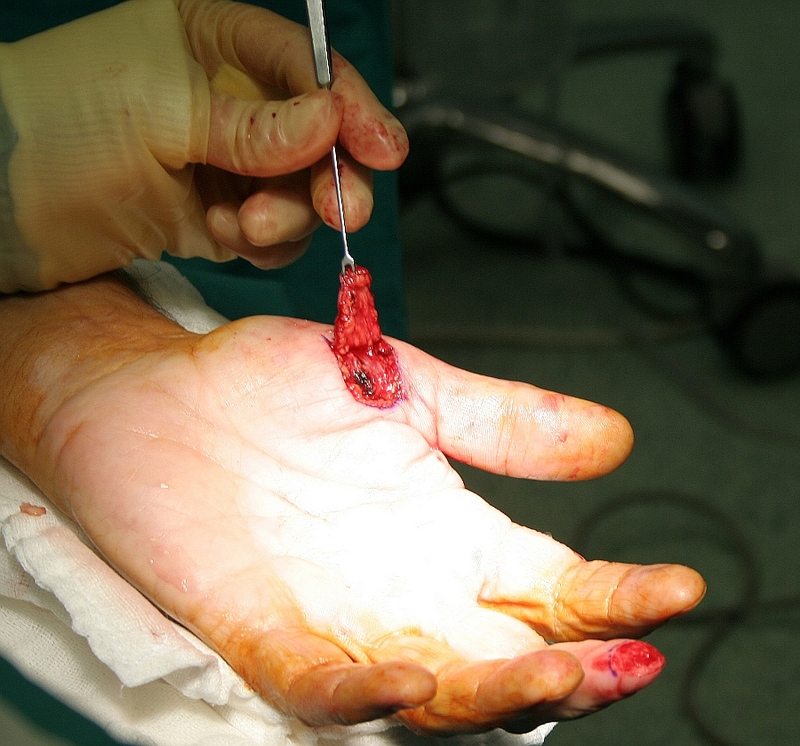 The essence of the procedure was to create a flap on the base of my thumb that was stitched to the end of the finger. 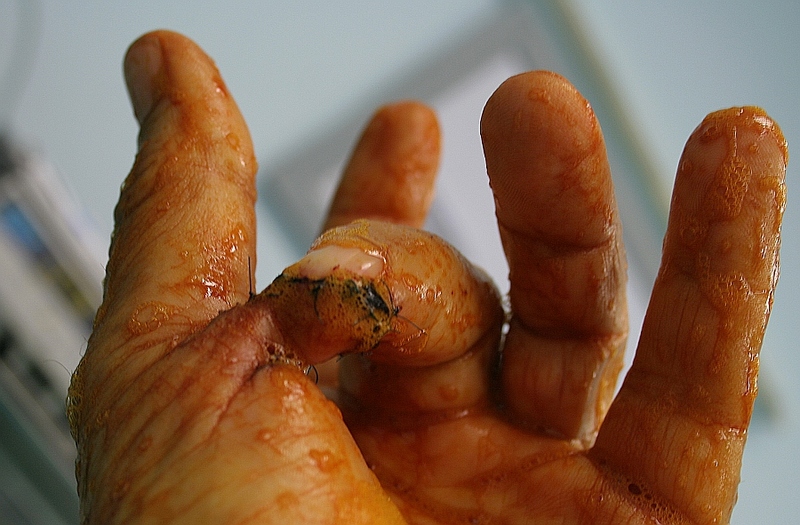 This flap would become a graft covering the area where flesh was torn off and would form a new fingerprint pad eventually. 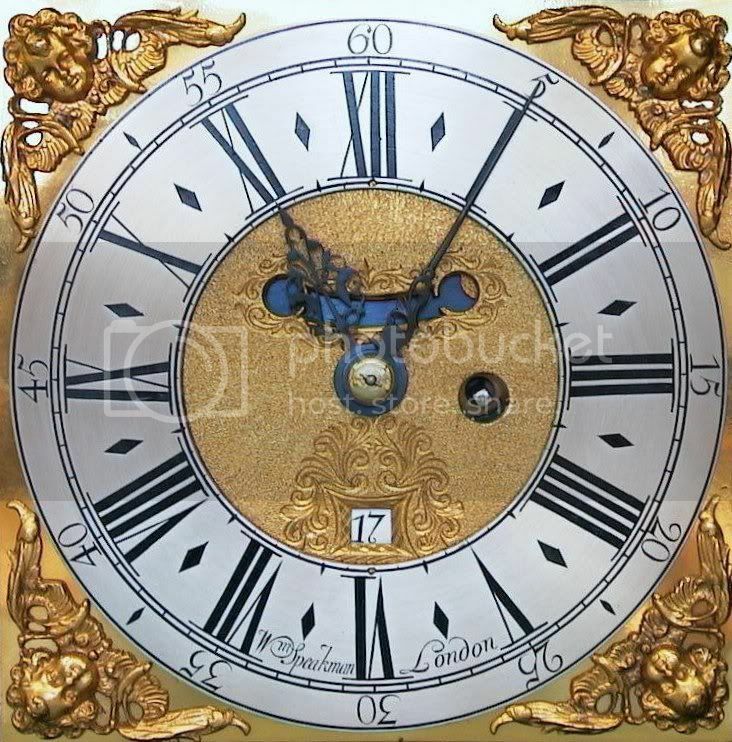 Here are some pictures, don’t click on the pictures unless you are happy with seeing the full size gory detail. 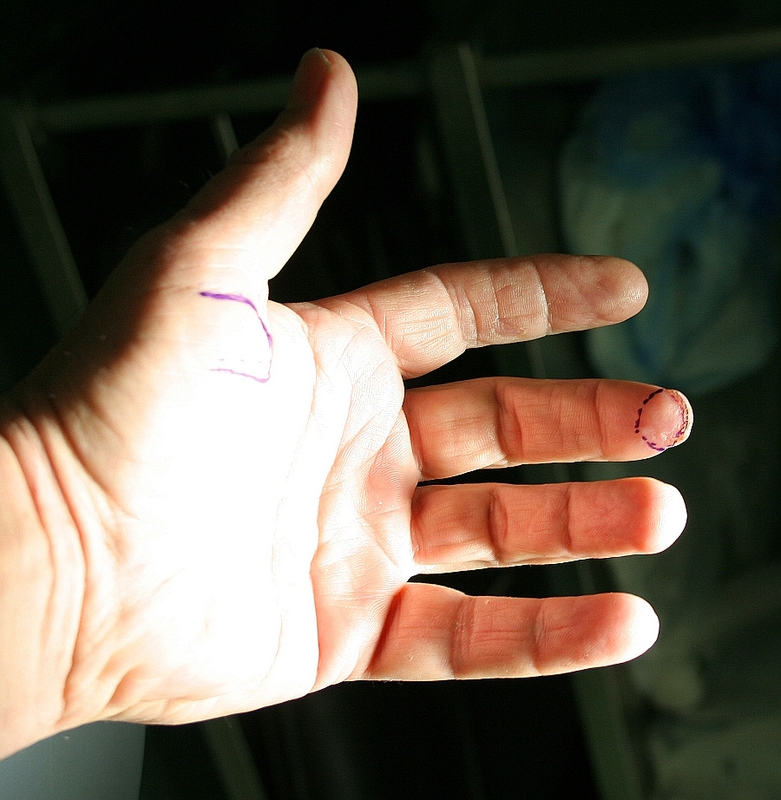 Two weeks with my finger stitched to my thumb was pretty frustrating as you might imagine, have you ever tried to wash dishes with one hand? I gave up and used my dishwasher, I knew I would be glad to have it one day but there are lots of other things that are difficult to do with only one hand, like chopping wood for the fire. 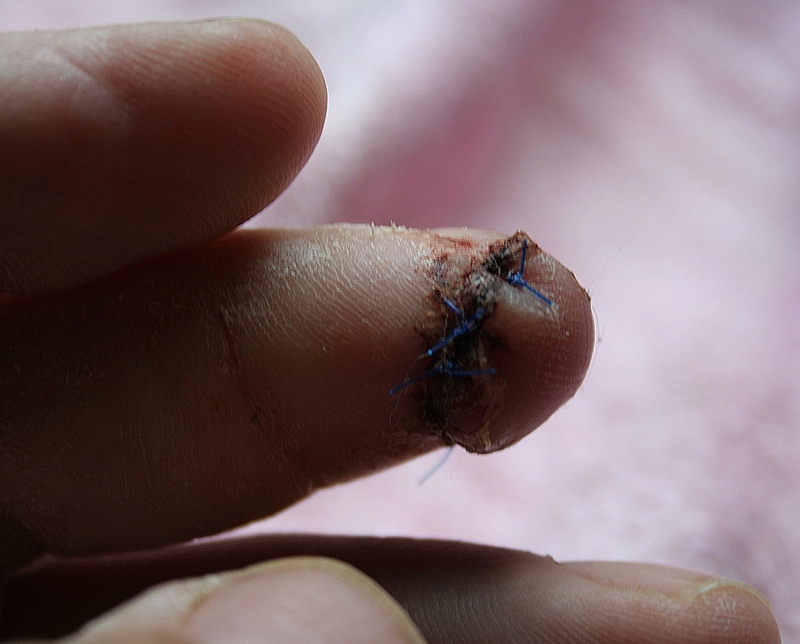 Then last Wednesday I had the second operation and my surgeon separated the flap from my thumb and sewed it to completely cover the area of missing tissue on my finger. It looks a bit odd at the moment and of course I don’t have any sensation of touch yet but it will blend in to the correct shape and the nerves will connect over the next few months. 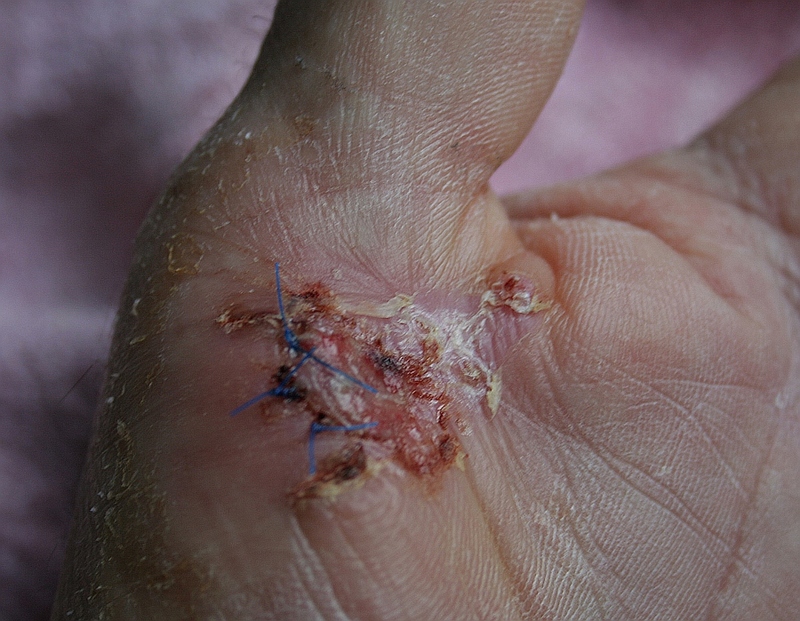 The area on my thumb where the graft came from is healing up nicely and just has a bit of tightness which will disappear quickly once I am able to use the hand properly. 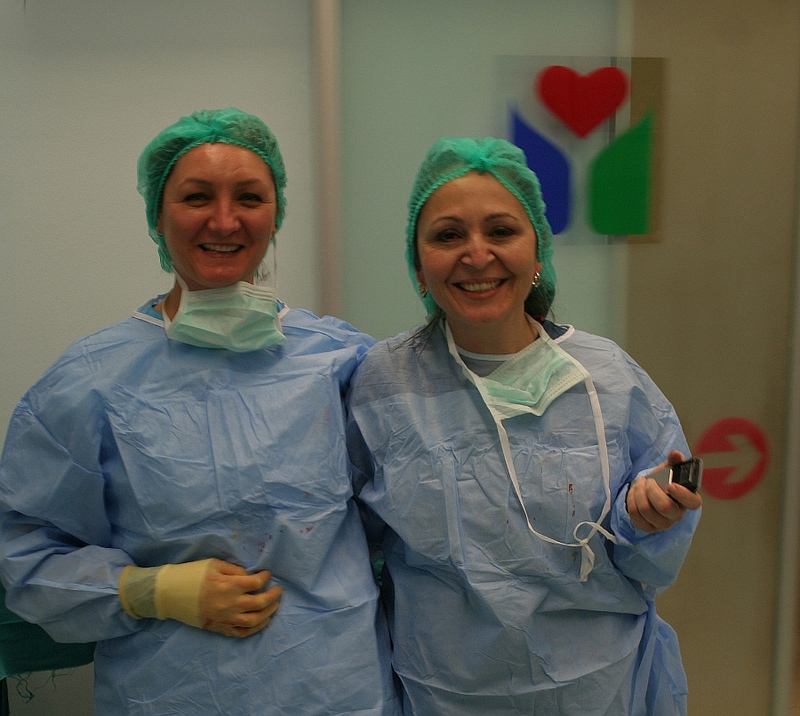 I have to say a big “thank you” to the operating team that did the job, plastic and reconstructive surgeon Betül Acar (right) and her assistant who did a very nice job and who also allowed me to take photographs in the operating theatre. A big “thank you” to the reception staff and the translating staff too, they all looked after me very well.